I recently had to design a simple cabinet to serve as a stand for a mill/lathe. I thought about pulling out some rulers and triangles (yes, I used to actually do drafting with pencils and paper) but instead I decided to try using OpenSCAD. I used specific colors in my design, of course when you actually render a thing in OpenSCAD the color goes away, but you can export the different views just fine without rendering. Here are the various view of the thing. Oh, since OpenSCAD is a “unit-less” thing which mostly outputs in millimeters (at least for STL files) I just assumed the units were inches. I used the OpenSCAD “scale” feature to scale up the thing by 25.4 times in each direction, which means my 1 millimeter became 1 inch. 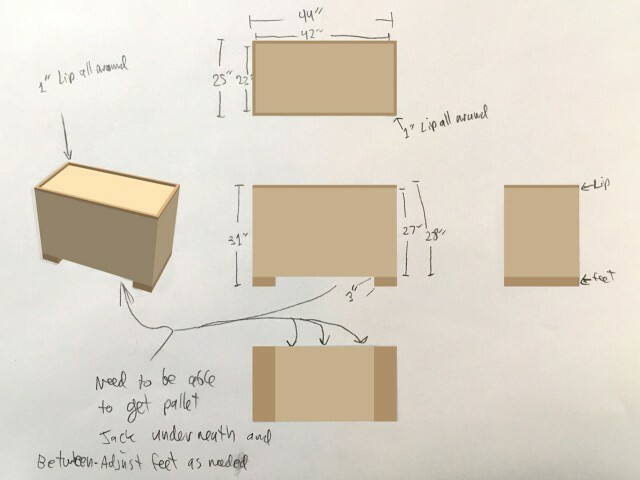 But in a real drawing you plan to hand to someone you need dimensions for things. 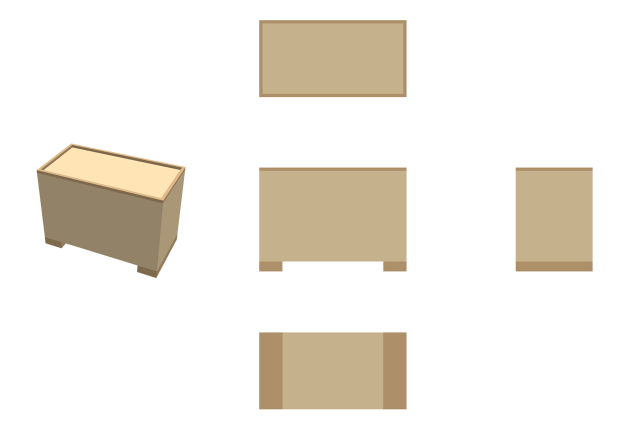 While there’s been some experimentation in adding them, there just doesn’t seem to be an easy way to show dimensions of things in OpenSCAD. I resorted to printing out paper and marking it up… with a pencil. 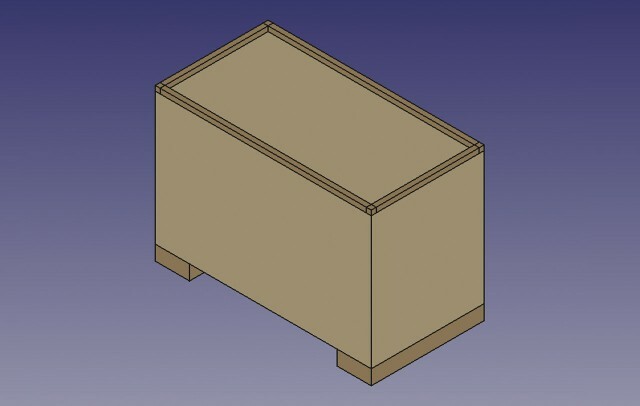 I probably need to learn how to use FreeCAD for this sort of thing. I’m sure I can easily add dimensions with it. One of the really interesting things about FreeCAD is that it has an OpenSCAD Module. 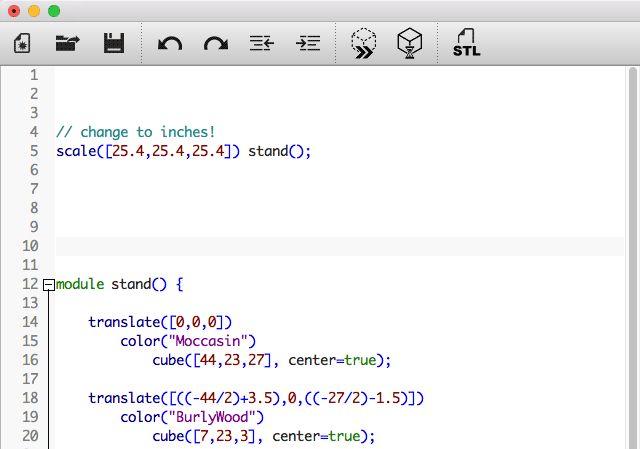 You can import a CSG file which you’ve exported from OpenSCAD, and you can just open .scad files as well. Much more to explore here… stay tuned!